The firm’s direct methanol fuel cell (DMFC) headphones include a tank of flammable methanol on one ear and the player itself, together with a Bluetooth receiver, on the other. Scare-mongering aside, DMFC cells are absolutely safe – the industry wouldn’t be pouring the vast funds it has already spent into the technology if they were not. 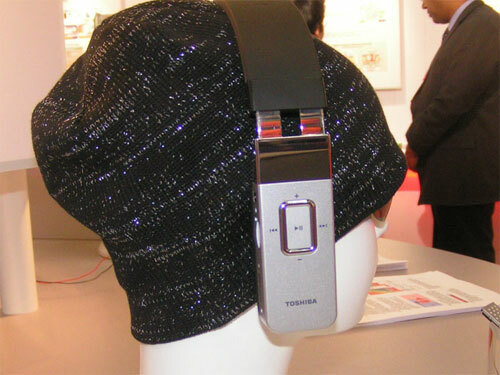 The methanol reservoir in the Toshiba wireless headphones is charged up with a 5ml squirt from a disposable cartridge, which will give about 10 hours of power. As a backup, there’s also a standard lithium-ion battery in the unit, although this isn’t likely to be a feature of production models.